hey man, i am getting hungry...can i get some food? of course you can, this is the promised land, with all the meat you can eat for practically nothing. 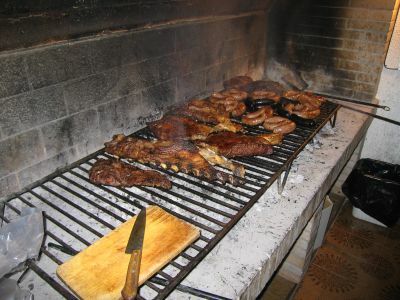 this is an asado, an argentine barbecue cooking up at the damajuana hostel. and here we all are enjoying it. 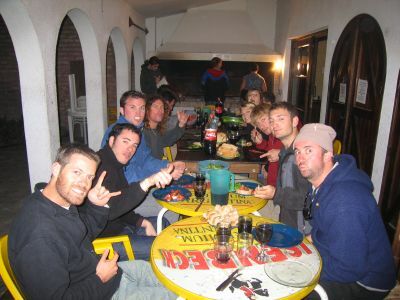 the hostel hosted an asado once a week. for about $4 u.s. you get all you can eat meat, wine, salad, bread, and some great company. 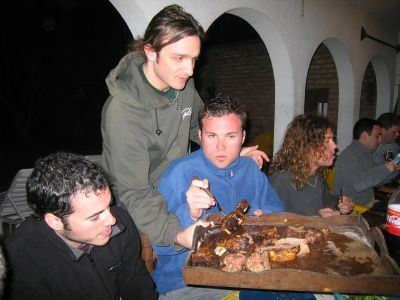 nico walks around the table serving the incredibly juicy, tender grilled meat. juan dives in. 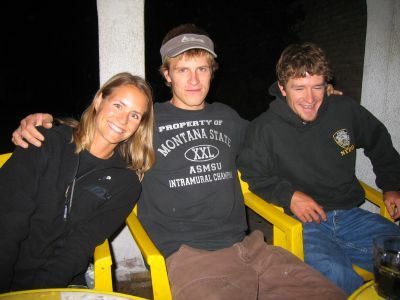 lauren, evan, and arjin from the u.s. enjoyed themselves. 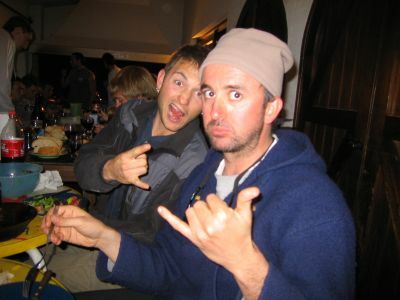 so did eric from the u.s. and santiago from buenos aires. 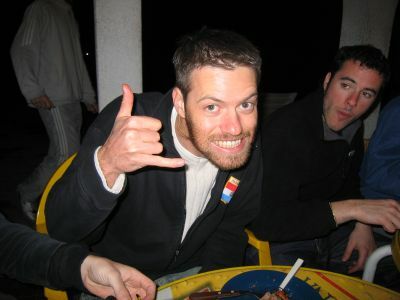 lots of north americans in south america...here is galen, happy with the pile of meat on his plate. lauren from tasmania, australia and i had a great time too. but then she got all mean on me...why does everyone always flip me off, in every country in the world? maybe she needed more wine - wine makes everyone smile, especially excellent, inexpensive wine, like the malbec in mendoza. here is a german serving a north american from a damajuana. 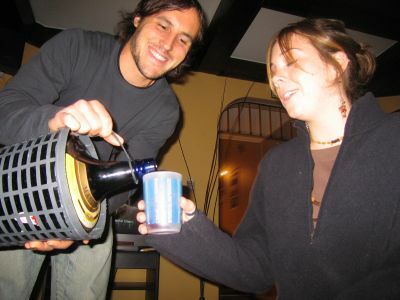 a damajuana holds 5 liters of wine. the hostel is named after the bottle.